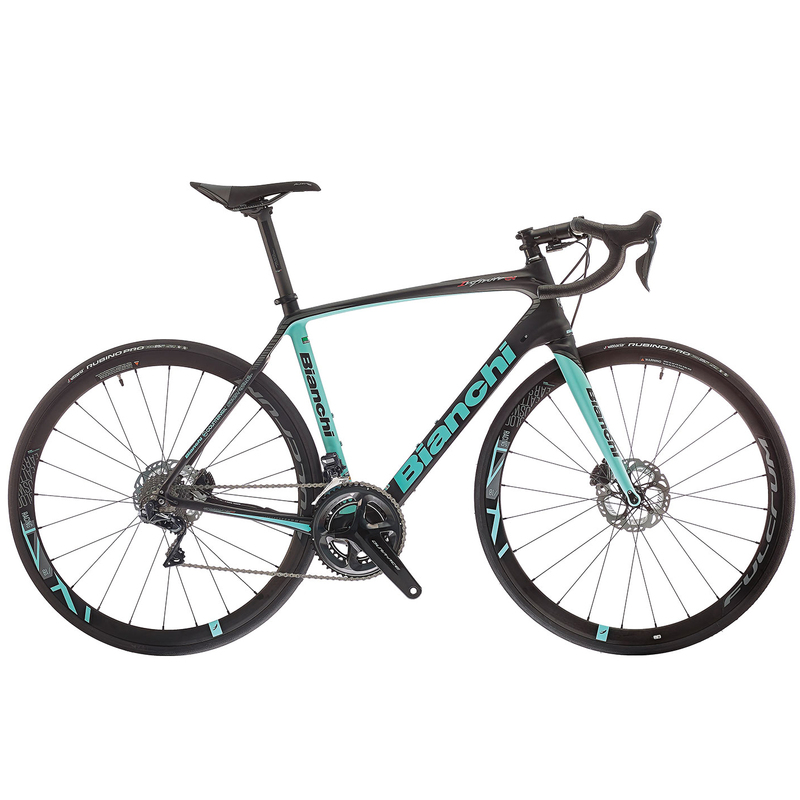 The Bianchi Infinito CV Disc Endurance road bike is lightweight, comfortable and sportive style frame with racing-grade components to deliver a bike that’s both quick and yet comfortable. The frame and fork are built around a geometry that’s more focussed on endurance, keeping you comfortable thanks to the less aggressive riding position. Combined with the patented vibration absorbing Countervail technology embedded within the carbon composite, the Infinito keeps fatigue at bay all day long. PLEASE NOTE: All of our bikes are built to order. This usually takes between 8-10 working days depending on time of year. Image is for illustration purposes only, please see full specification above.